NOTE: We realize there are a tremendous amount of apps on the market. We try to post free apps only. Due to Free App Fridays and ever-changing prices, apps that may be free today might cost money tomorrow. We do our best to update accordingly. 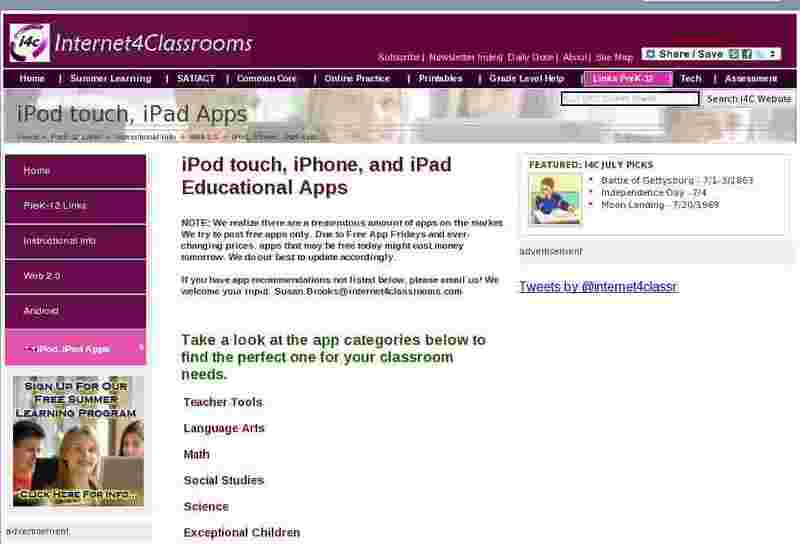 Take a look at the app categories below to find the perfect one for your classroom needs.